I had a recent encounter with her, you know, that sister who is needy as hell. I was hoping she didn’t see me and with a quick right turn down the other hallway, I would be able to dodge her. But just my luck, before I could attempt my matrix type move, she spotted me. Her: Hey girl, I’ve been calling you. Did you get my texts? My voice messages? Me: Yes girl, I got them. I just have been extremely busy and haven’t had the opportunity to respond to them yet. Yes, I am aware that she has been calling me. And yes, I did receive all of her texts and voice messages. But as an acquaintance, her incessant calling and texting made me uncomfortable. And after much thought I made a conscious decision not to return her calls and to distance myself from her. My decision to distance myself was not out of malice or ill will but as an act of self-care. Especially after unsuccessful attempts to playfully hint to her, using gestures such as “ girl, stop calling me a million times a day” or “sis, you don’t have to call me, I will call you,” that she needed to calm down with the contact. It was also intended to serve as a non-verbal cue, with the hope that, for someone who admittedly had difficulty with preserving friendships, she would take the time to recognize and examine her relationship patterns. I mean what else could I have done? We weren’t close enough for me to tell her straight out that she didn’t have any friends because she was needy. And that her incessant contact was suffocating and entrapping and that contrary to her belief that it communicated her interest in pursuing a friendship, it actually displayed itself as neurotic and obsessive behavior that made people distance themselves from her. No, I couldn’t tell her this but I did hope someone who cared about her would; that way, it wouldn’t hurt so much. Because as a woman in recovery, who herself was confronted about being needy, knowing that the person cared about me, helped to absorb some of the impact of that painful truth. My need arose from the death of my mother when I was fourteen. After being abandoned by our relatives, my brothers and I were left to raise ourselves. During this phase of my journey, I was emotionally neglected, deprived of affection and suffered from issues of abandonment and rejection. 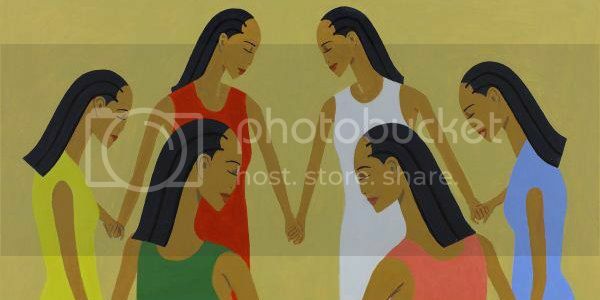 In a desperate attempt to seek out love, as an only girl with limited female guidance, I sought out women under the guise of mentorship for nurture, affection and mothering, often forcing my emotional needs onto them. This resulted in several toxic and unhealthy relationships with women. Overtime, I learned that my need came from a place of deep pain and wounded-ness. And according to my truth telling therapist, “as long as I come from that place of wounded-ness, I would never be in a healthy relationship.” So out of an act of ‘radical self love’ and out of a desire to be as whole as possible, I made a commitment to do the necessary work in order to heal, which involved taking ownership of my emotional health. And when she does, she will realize that it’s deeper than her inability to develop friendships and that her neediness is but the language of her wounded-ness. Liz A. is a woman on a journey of becoming. She is a "warrior poet", an avid journal-ler and an independent writer. Liz identifies as a Womanist with Black Feminist tendencies and is currently a social worker in training. So far, Liz has written for the Feminist Wire and is a columnist for the ForHarriet blog. Liz is currently working on her untitled memoir.